Description: Poured a dark ruby red with a nice pink head – pretty clear actually. 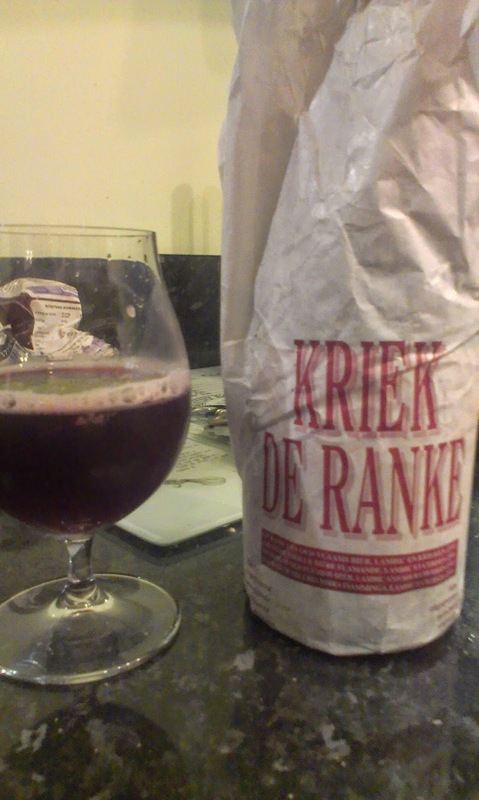 The aroma is all tart fruit and twangy sourness – cherries mainly but there some tart raspberries in there too. The cherries stay for the taste, along with some cranberries maybe? This isn’t sweet though – more face puckeringly sour. Mid-bodied and a little sticky. Thoughts: Another great beer from De Ranke, this one balances fruit, tartness and sourness really well into a complex but drinkable beer. Go for it. Description: Amber in colour, actually its almost brown. Poured clear with a small white head. I’m not getting too much aroma wise, a hint of sweet toffee apple combined with something distinctly more pub toilet. Thankfully that latter smell doesn’t follow into the taste, there a definite biscuit malt vibe, some toffee, back up at the end by a very light citrus/grapefruit bitter note. Light to mid bodied. Thoughts: ESBs generally don’t do a lot for me, this was actually pretty sinkable – once I got past the strange smell – does the job but doesn’t require much consideration/effort. Not sure I’d go out of my way to buy again though. Description: Jet black with a decent tan head. Aroma is mild coffee, light roast, with a hint of lactic milk chocolate. Mocha latte coffee flavours, and a hint of chocolate milk. Quite light and thin for my taste. Thoughts: I was really looking forward to this – it sounded very me, but it just didn’t quite deliver. The flavours were fine, if a little understated, but the lack of body really let the side down. 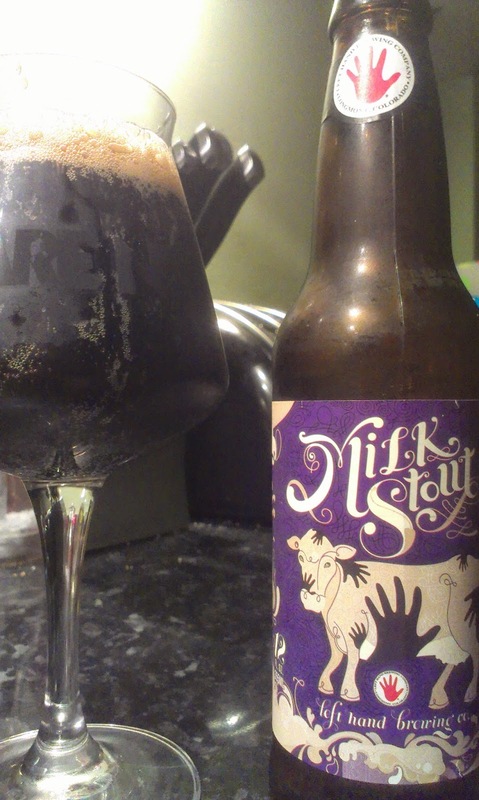 I also had the Left Hand’s “Nitro” version of the Milk Stout, which was kind of similar to the above, but maybe not even as good. Victory’s Headwaters Pale Ale (Lighthouse Wines again) was a great wee example of the style - basically my notes are summed up by the phrase “Actually this is pretty damn good” - and one worth trying. 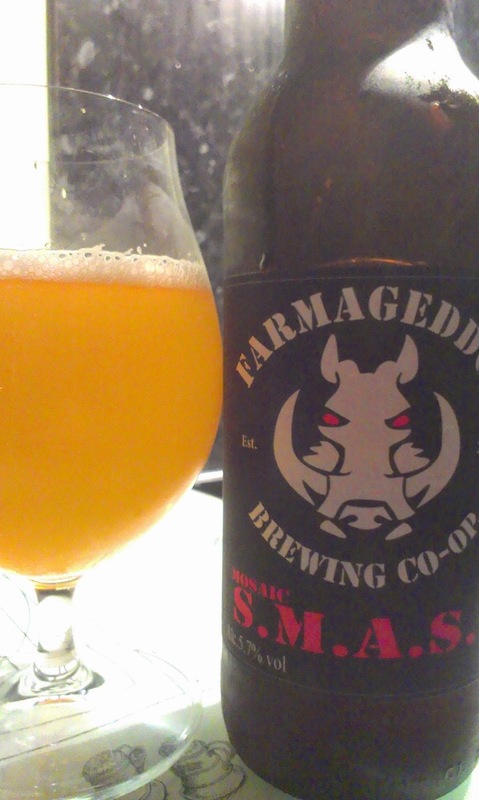 Farmageddon’s Mosaic SMASH is the latest beer from the boys from Comber, and one that seems to be getting good reviews. I personally thought it was much better than the Tomahawk version – there’s lots of tropical fruit here and a nice resinous body the reminded me (a little) of Of Foam and Fury. However, I was still getting something TCP/Dettol like on the finish. While not overpowering this time, it just left an unpleasant aftertaste at the very end that down rated the experience for me. I know others who have said they aren’t experiencing the same thing, so maybe its psychological or maybe I’m just being unlucky. Still I think the improvement is there for all to see, next one should be a cracker! Keep up the awesome work at beersni.blogspot.ie.